Kleanthia Papi was born in Limassol, Cyprus on 11th May 1992. She studied law at the University of Surrey in the UK, where she was awarded with an LLB (Honors) degree. She further acquired a postgraduate LLM degree in International Commercial Law at Surrey University. 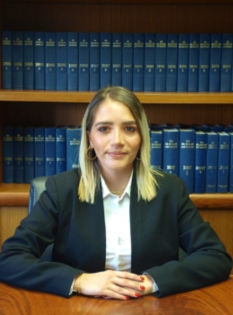 After passing successfully her Cyprus Bar Association Exams in June 2015, she became a member of the Cyprus Bar Association. Mrs. Kleanthia Papi specializes in Civil Litigation, Land, Family and Banking Law. She is fluent in both English and Greek. Victoria Singeri was born on 17th August 1990. She studied Law at Peoples' Friendship University of Russia (Moscow), where she was awarded with an LLB (Hons) degree. She further acquired a postgraduate LLM (Hons) degree in Civil Law, Family Law, Business Law, and International Private Law at Peoples' Friendship University of Russia (Moscow). 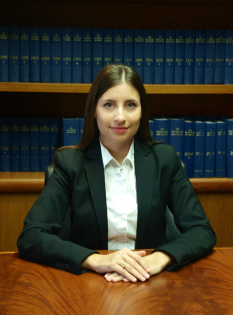 Her Master’s Thesis: “International Commercial Arbitration and other Alternative Dispute Resolutions in Republic of Cyprus”. Victoria pecializes in Corporate and Commercial Law, Company Law, Civil Litigation and Immigration Law. She is fluent in Greek, Russian and English. Ellinida Gantzidou was born in Komotini, Greece on October 11th 1983. She studied Law in Aristotle University of Thessaloniki, Greece and she obtained a postgraduate degree in Civil Procedure Law, in Democritus University of Thrace, Greece. Having successfully passed the Greek Bar exams, she became a member of the Rodhopi Bar Association. 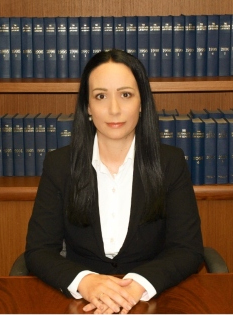 She was a partner in the law office of Mrs. Anna Apostolidou, Assistant Professor of Penal Law in Democritus University of Thrace (2008-2015). She specializes in Civil Law, Family Law, Torts and Company Law. She is fluent in Greek and English, has a good knowledge of French and Turkish languages and an intermediate knowledge of Russian language. Stylianos Georgiou was born in Limassol, Cyprus on September the 15th 1990. He studied Law at the Democritus University of Thrace, in Greece, where he was awarded with an L.L.B. During his studies he completed among other, modules of the Corporate Law, the Civil Law, the European and the International Law. 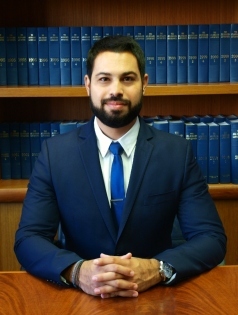 After passing successfully his Cyprus Bar Association Exams in October 2017, he became a member of the Cyprus Bar Association. He is fluent in Greek and has a good knowledge of English language.